The new Sony Xperia XZ2 (see full specs here) and the XZ2 Compact (see full specs here) have just gone through our battery life test and the results are in. Sony phones have traditionally performed very well in battery tests, so we were curious to see how long the company's newest devices can last, especially considering that both the XZ2 and the XZ2 Compact have slightly larger batteries than their predecessors, the XZ1 and XZ1 Compact. So let's bring the Xperia XZ phone and a couple of other popular phones, and see how each of them performs in our battery test. The flagship Xperia XZ2 lands an excellent score of almost 9 hours, more than your average 2018 flagship. The smaller XZ2 Compact does even better with a score of 9 hours and 13 minutes, again beating most of the competition with a good margin. 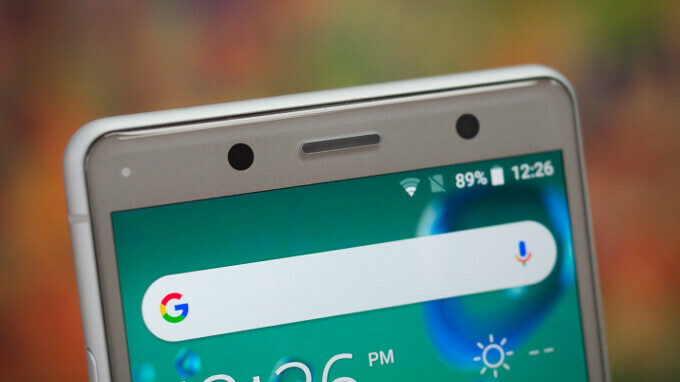 Interestingly, when we look at last year's XZ1 and XZ1 Compact, the new XZ2 outscores its predecessor, but the XZ2 Compact did not quite catch up to the XZ1 Compact which still holds one of the highest battery scores in our rankings. This is likely due to the higher resolution screen: the XZ2 Compact features a 5-inch 1080 x 2160-pixel display, while last year's model had a 4.6-inch 720 x 1280-pixel display. But compared to most other flagships - phones by Apple and Samsung - the XZ2 family looks great: it outlasts the pack (other flagship phones average around 8 to 8 and a half hours). Another important part of the battery experience is the time it takes to recharge a phone. After all, when you run out of battery, when you have a fast-charging phone you can just plug it in for a few minutes and get that much needed battery boost to last through a longer day. Unfortunately, the XZ2 and XZ2 Compact are not among the fastest-charging phones out there. In the box with the phones is a Quick Charge 3.0 compliant Sony wall charger, but it still charged the phone very slowly. It took around 2 hours and 25 minutes to fully charge the XZ2 and XZ2 Compact from 0 to 100%. This is especially bad when compared to phones like the OnePlus 5T that charges for just 1 hour and a half. One neat extra that the XZ2 has is wireless charging. Sony does not provide a wireless charger in the box, so you need to purchase one separately, and charging speeds with it will be slower than wired charging, but it is a nice convenience to have. The XZ2 Compact lacks such an option. I knew it was bad idea to make the Compact 1080p. It should be 4.8" 16:9 HD. And XZ2 as 5.5" 16:9 FHD. Phonearena's battery test is nothing more than a web-script running from a browser. "We measure battery life by running a custom web-script, designed to replicate the power consumption of typical real-life usage. All devices that go through the test have their displays set at 200-nit brightness." As if this is a real world battery test. Do they actually set the screen to 200 nits or pretent it's 200 nits? Come one. No one is going to do that. If anything set the phones to 50% or half brightness for the scroll bar. 200 nits. Give me a break. Also it should be noted that both the Xperia XZ2 and XZ2 compact have HDR displays this time around. Something that all iPhone's do not have, except the iPhone X. It's usually found only on OLED displays, but these Xperias have and support HDR content. Half is fine on every smartphone, but when you say 300 nits that is not fine. Especially when some smartphones have no more than 400 nits, or even less. Also no one is going to use an actual meter to select a certain brightness. It's not like any smartphone will tell you it's now at 200 note or now 300 bits of brightness. The other thing is PhoneArenas testing videos in a webpage. Most people that watch videos use something like YouTube app or another app to watch videos (Netflix, Facebook, Hulu, ...). Next to no one actually uses the browser itself to watch actual videos. PhoneArenas battery test is the worst one yet. You still don't get it do you. It doesn't matter what the test is. The only thing that matters is that all phones are tested in exactly the same conditions in exactly the same way. Numbers are irrelevant, the thing that matters if phone A has better battery than phone B, which is the point of testing. COMPARING results. Do you know what the 200k on antutu mean as a number, probably not. But if one has 100k the other 200k the latter is faster right? This is the point you are missing :). There is no single battery test that will replicate how you might use your phone and most of them don't count in the standby performance, only screen on time. You're not getting the point. Half isn't enough on any phone. On my s6e i need to have the brightness almost at max to atleast see something outside during the day. On my s7e it used to be round 60-70% to have it visible. So the testing would be unfair as almost all phones output a different brightness at half brightness. To make your decision you should look at different battery tests. And atleast phonearenas test is fair with brightness at the same level. Why? It has excellent battery life how would someone want more than excellent. GSmArena test is not that good too because they only check TALK TIME, VIDEO PLAYBACK , WEB BROWSING and STANDBY. But XZ1c score 108h against 88h of XZ2c. Huge difference..
PhoneArena's test is just a web-script. It can also make a difference the browser type as well. Plus running a test from a browser is definitely not real world testing, period. But at least it makes the choice easier now, the battery life is about the same, the features too, so the only main difference is size and style now. Knowing Sony fans always comparing specs with iPhone to feel better about their phone, do you think it's wise for Sony to put lower screen resolution than iPhone?! Samsung mobile is not having a great year. I'm using S9+ and the battery life is horrible, comparing to my XZ Premium. Really? This Samsung hating again? This article has nothing to do with Samsung. You're pathetic. Why do you have such an nonsensical hate for a company? It just webscript test, in real world usage S9 will outlast Sony. Not bad. The charging could be a bit faster, but it's still faster than the iphones. The endurance is quite impressive. So basically the XZ1 Compact has truly amazing battery, while its successor, the XZ2 Compact, is just an average Joe. Nice job, Sony... The XZ2 Compact is not compact anymore, and has much worse battery life than the previous model. Basically Sony just ruined their Compact brand. xz2 compact have full hd hdr and 5"
Yeah this doesn't look great for Sony at all. I loved the battery life of the XZ1C! Knowing that the updated one is not as good, welp. What if both the samsung and the iphone have powerbanks in it? Wouldn't that extend the battery life than what sony could've offer? Great job Sony! Hope they develop a micro led screen for the XZ3. I would be so glad if they skipped the OLD and jumped directly to micro led because the OLDs are not practical. Micro LED/ Crystal LED are years far from mobile. Current tech allows only giant screens, like 100" at least.